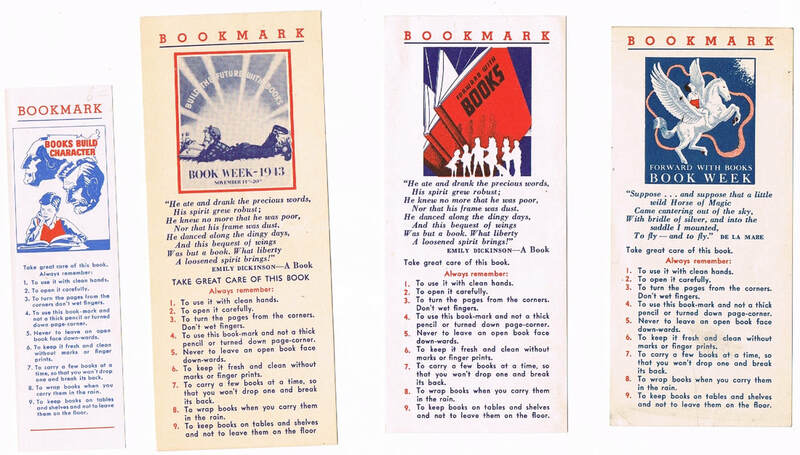 We are developing a gallery of bookmarks with advice on how to take care of books. This topic was inspired by the first two examples that also appear in Gallery 4 - Bookmarks on Bookmarks. They may be from libraries, organizations, or other sources and they may be serious or silly, as long as they have a reminder about good practices such as using a bookmark! Send your examples to the webmaster. Libraries promote good practices in caring for books. Publishers also have an interest in advocating for book care. Sometimes books even speak for themselves regarding how they should be treated. 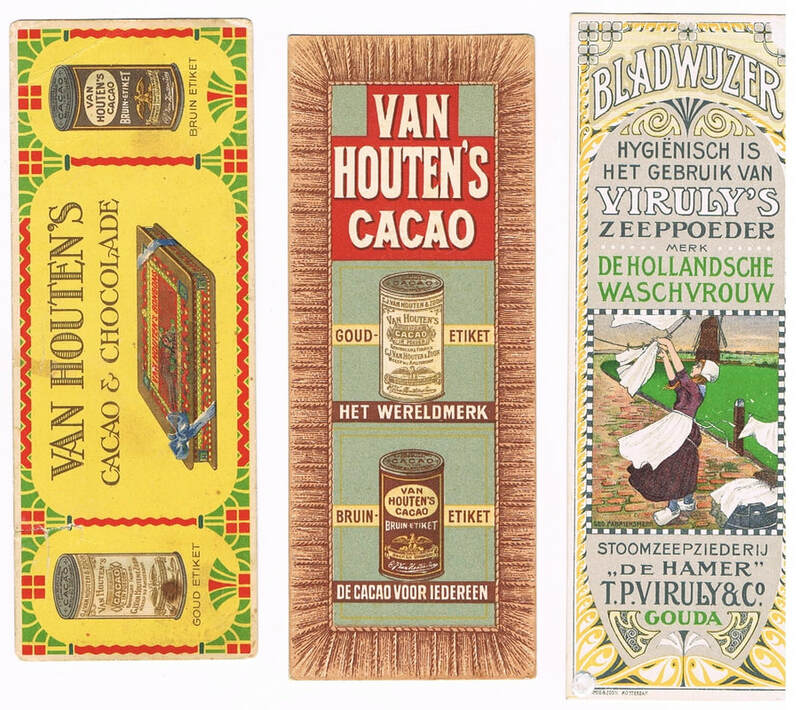 Book hygiene is another theme on bookmarks. 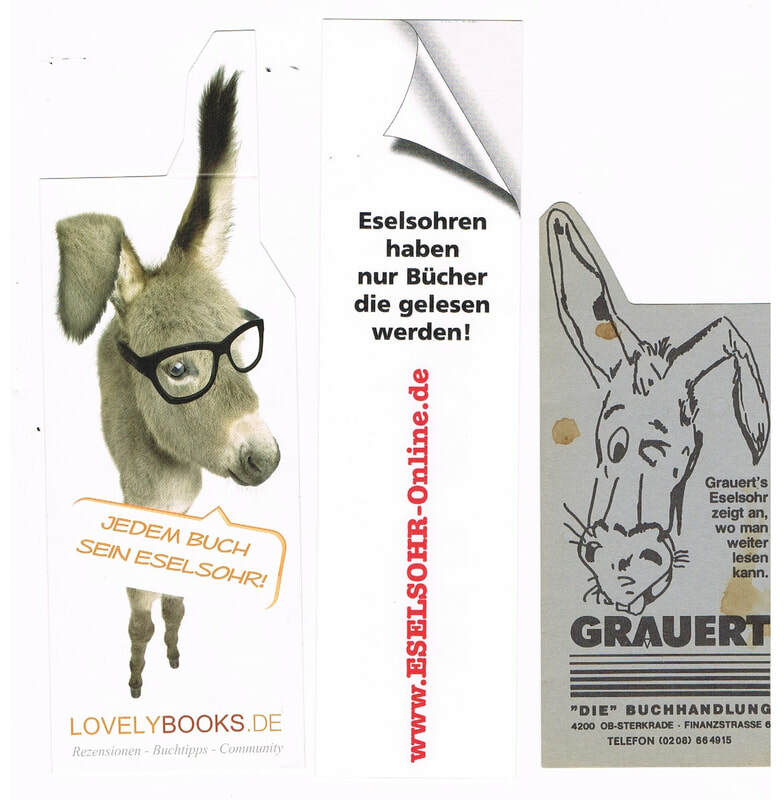 As Georg Hartong explains in this blog post, the practice of bending a page for a bookmark is called different things in various languages. But they have in common the idea that the bent page is like an animal's ear! 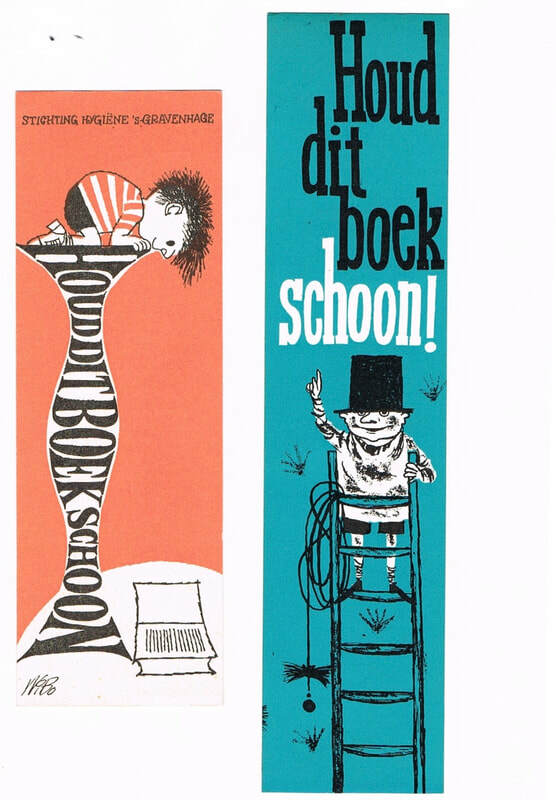 From South Africa with English translation on the left; an English bookmark and a shaped one. From the U.S. - and bonus, a bookmark on a bookmark! 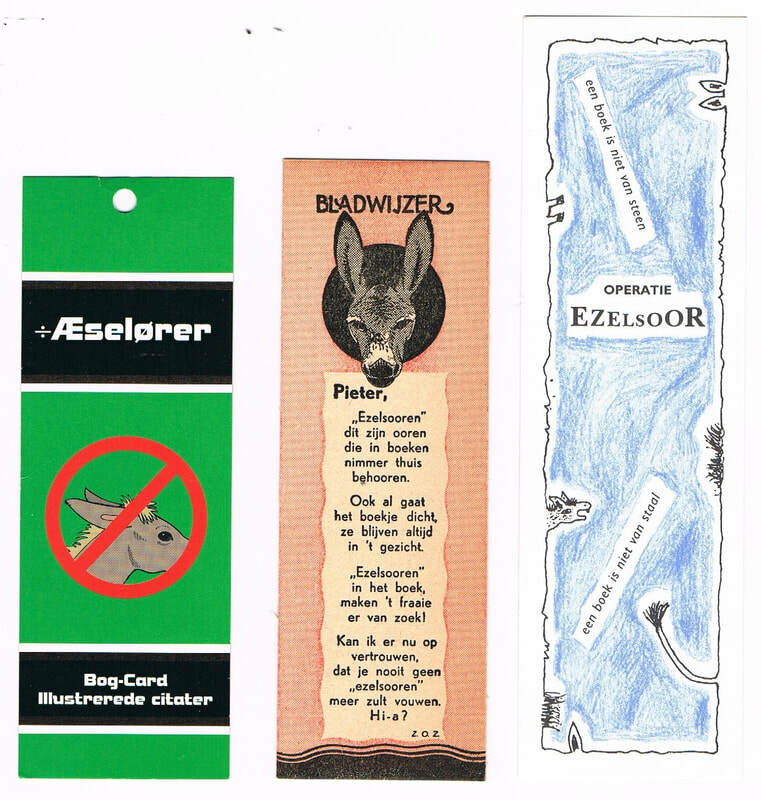 ,Books have "rights" to be treated well, but readers also have rights, as these bookmarks describe. Text is the same in German and Dutch.